This is one of a three part series of articles about Korean cinema. No other country in Asia devotes as many resources to promoting its local film industry as Korea. In terms of film policy, it is actually much closer to European countries like France and the U.K. than to Japan and Hong Kong, or the U.S. Some of this government support is provided by the Small Business Corporation, in the form of investment in film funds. The Ministry of Culture, Tourism and Sports also supports a few initiatives in its own name, but the lion's share of Korea's support for cinema is done through the Korean Film Council (KOFIC). The organization receives its annual budget from the culture ministry, but is largely independent in the way it chooses to draft and carry out film support policies. Aside from full-time staff, KOFIC is headed by nine commissioners who are appointed to three-year terms by the culture ministry. Many are film industry professionals (or professors), so in a sense Korea's film policies are drafted by the kind of people for whom they are intended (and who, presumably, know best what the industry needs). The current group of commissioners includes Shim Jae-myung, one of Korea's most respected producers (JSA), and award-winning documentary filmmaker Kim Dong-won (Repatriation). 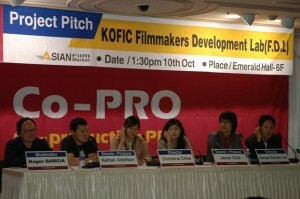 KOFIC's budget for 2008 amounts to US$65.8 million, an amount that other Asian film industries can only dream of. Admittedly, more than half of this amount is earmarked for loans and investment in film funds -- money that, if conditions are favorable, will be repaid at least in part to KOFIC in the future. KOFIC also operates the Namyangju Studio Complex, which rents out sound stages and post production facilities to filmmakers for a fee (reduced in some instances), and the Korean Academy of Film Arts, a two-year school that has produced many well-known filmmakers including Bong Joon-ho and Im Sang-soo. After subtracting operating costs, most of the remainder of the budget eventually finds its way into the film industry through various support programs. A detailed look at how each program works confirms that, for the most part, KOFIC aims to work together with market forces -- lessening them in certain situations, but rarely trying to compensate for them in a major way. This contrasts with some other Asian countries such as Taiwan or Hong Kong's new support program, which concentrate a much greater percentage of funds into direct production subsidies. In contrast, the broad range of support programs run by KOFIC is surprising. In terms of domestic filmmaking, KOFIC does offer production support for independent film including shorts and documentaries, arthouse films, features shot in HD format, and international co-productions. It also provides a network of 26 cinemas across Korea with annual grants in return for devoting a significant portion of screen time to local and imported arthouse films. Various film-related groups and film festivals receive support from KOFIC and media centers have also been built throughout Korea where anyone can attend lectures or reserve editing facilities. KOFIC supports screenplay contests, and also maintains an online market/database of screenplays where producers can bid on scripts that interest them. Meanwhile, a separate research department provides highly detailed reports on issues that are important to the industry. It also sponsors Korean and English language publications. Recent efforts have also focused on promoting research and development in digital cinema, and in trying to encourage the development of Korea's rather weak ancillary markets (for example, in helping to launch services that provide legal internet downloads). On the international front, KOFIC funds the production of subtitled prints for selected films, helps filmmakers and sales companies to attend international markets, produces DVD sets that are donated to libraries and cultural centers around the world, and sponsors special screenings of Korean films. 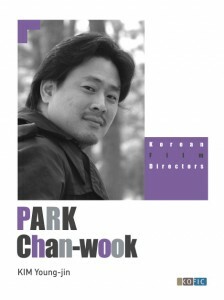 Some of the more creative programs launched in recent years include a Filmmakers Development Lab held in Hawaii for promising ethnic Korean directors from other countries; a program to provide extra funding for overseas distributors who release Korean film in foreign territories; and a program that brings film professionals from other Asian countries to Korea for Korean language lessons and six month internships at KOFIC's main office in Seoul. KOFIC has also recently opened an office in LA to encourage business exchanges between Korea and Hollywood. Korean Cinema's quick rise from obscurity to occupying a central role in the Asian film industry has caused many other countries to look to KOFIC as a role model. Yet to date no other Asian country, with the possible exception of Singapore, has pursued such ambitious support programs. Some may argue that KOFIC's efforts would be better served by more direct investment in local films, freeing filmmakers to pursue their artistic vision without catering to market forces. But equally strong arguments can be made for letting the industry more or less forge its own path, with the government concentrating on improving the general environment for filmmaking. Meanwhile, Korean filmmakers remain for the most part quite supportive of KOFIC, and over the past decade a surprising number of films and directors have been given an extra boost in some way by KOFIC's film policies.